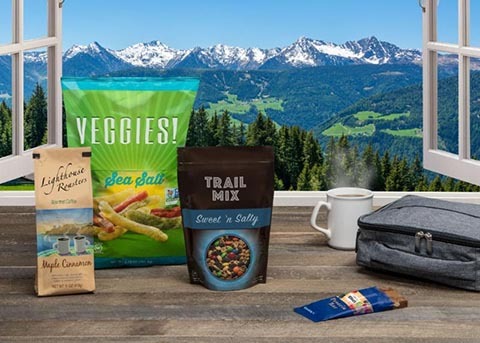 Toray Plastics (America) to Feature New, Forward-Looking Packaging Innovations at Pack Expo International 2018? North Kingstown, R.I. – Toray Plastics (America), Inc., will feature advancements in three families of packaging films—Torayfan® clear barrier BOPP, Torayfan white BOPP, and Lumirror® high barrier PET—at Pack Expo International 2018, October 14-17, at McCormick Place in Chicago, booth 6275. These portfolios are manufactured with Toray’s proprietary technology and provide CPG companies and converters with creative solutions that deliver robust performance with a lower total cost. Desirable film features include; thin and ultra-thin offerings, transparent high-barrier, metallized to replace foil, a white pigmented appearance, bio-based materials, integrated sealant technology with improved hermeticity and seal strength, easy-open packaging and lidding, ‘premium feel’ outer webs, and solutions for digital printing and e-commerce applications. Additional product announcements will be made at the show. New Over the Mountain high-barrier BOPP films. These OTM films are designed with integrated sealant technology, improved hermeticity (air tightness), and the seal-strength to withstand the air pressure changes that occur when products are transported in changing altitudes, which can cause a package to burst. They’re also robust enough to eliminate the need for a separate sealant film and allow a switch from a complex three-ply lamination to a two-ply structure. Converters value not needing the separate sealant web and the extra lamination step. OTM films are ideally suited for the regional manufacturer that wants national distribution and for e-commerce applications. For more information about Toray films to be featured at Pack Expo International 2018, contact Mary.Osso@Toraytpa.com or call 401-667-2281. Toray Plastics (America), Inc., will feature advancements in three families of packaging films—Torayfan® clear barrier BOPP, Torayfan white BOPP, and Lumirror® high barrier PET—at Pack Expo International 2018, October 14-17, at McCormick Place in Chicago, booth 6275.